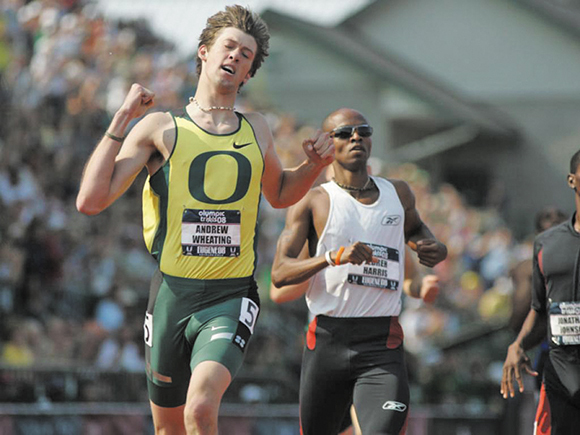 The event that sent Wheating to his first Olympic Games in 2008 now presents a similar opportunity for Elijah Greer, BS ’13, the Portland-area native who won two NCAA 800-meter titles while at Oregon. Greer has struggled with injuries as a professional, but the 25-year-old almost always finds himself in the hunt come championship season. Greer finished sixth at the US Olympic Team Trials in 2012 and fourth at the US Championships in both 2013 and 2014. To capture the elusive top-three finish, Greer may have to contend with Wheating, who says he’s still deciding whether to compete in the 800 meters or the 1,500 meters—or both. For Laura Roesler, BS ’14, who missed most of the 2015 season with a serious Achilles injury, the Olympic trials could add another chapter to her already impressive comeback story. In March, Roesler punctuated her indoor season by finishing second at the US Indoor Championships and fourth at the World Indoor Championships, leaving no doubt that she’s a top contender for the trials. 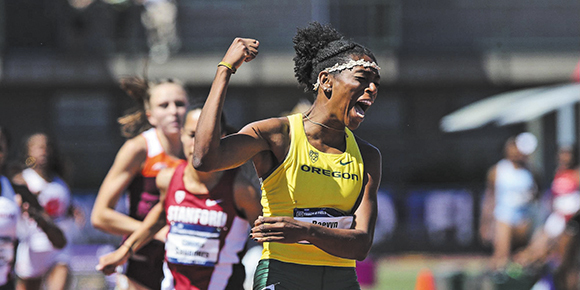 Another woman who shares that distinction is 19-year-old UO sophomore Raevyn Rogers, the NCAA’s defending indoor and outdoor 800-meter champion, whose personal-best time of 1:59.71 is less than a second behind Roesler’s. In 2008, when 16-year-old Jordan Hasay advanced to the women’s 1,500-meter final by finishing fifth in her semifinal heat and toppling the national high school record, her dazzling performance earned a special serenade from the crowd. “Come to Or-e-gon!” the fans in the west grandstands chanted after the race. “Come to Or-e-gon!” A year later, Hasay did just that, beginning a remarkable four-year career in Eugene that would include two national titles, 18 All-America honors, and four school records. This year, Hasay will try to recreate some of that Hayward Field magic in the 10,000 meters, which has become her specialty event since moving to Portland to train professionally with the Nike Oregon Project and coach Alberto Salazar. Ashton Eaton put on a clinic at the Olympic trials four years ago, smashing the decathlon world record by 13 points and pulling off ridiculous feats of athleticism like sprinting 100 meters in 10.21 seconds and jumping more than 27 feet through the air. This time, Eaton arrives at Hayward Field as the defending Olympic and world champion in the event, and as the overwhelming favorite to win his fourth US decathlon title. The best chance for drama will come if Eaton decides to chase his (most recent) world record of 9,045 points, which he set in Beijing last summer. Either way, the trials will be Eaton’s last decathlon before Rio, where he and his wife, Canadian heptathlete Brianne Theisen-Eaton, will try to become the first married couple to win the decathlon and heptathlon at the same Olympic Games. 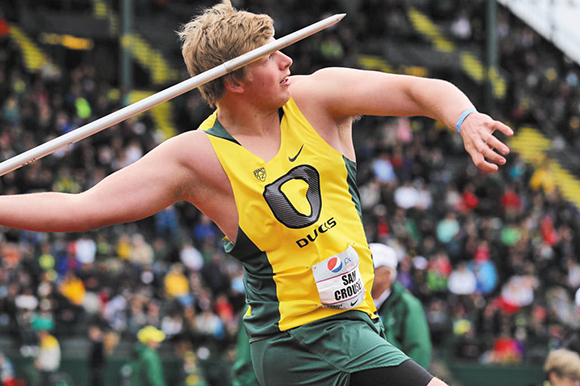 In 2012, Sam Crouser heaved the javelin 265-odd feet to finish second—a position that usually earns a spot on Team USA. But because Crouser had fallen short of the Olympic ‘A’ standard (269 feet), the UO junior didn’t get to compete at the Olympics in London. Looking for redemption, Crouser, BS ’15, enters this year’s trials with the Olympic ‘A’ standard already in hand, meaning he only needs to finish in the top-three to guarantee a spot on Team USA. 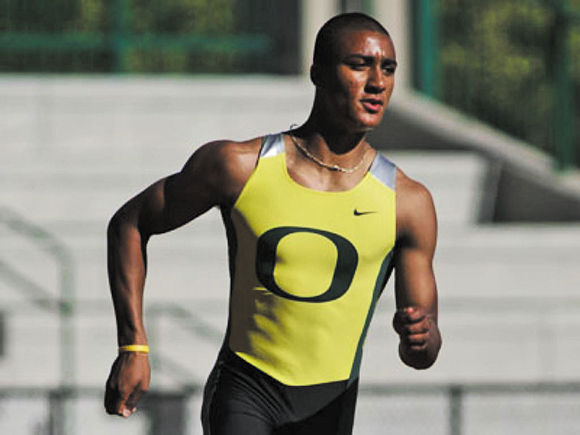 Another former Duck to watch is 2012 Olympian Cyrus Hostetler, BS ’10, whose personal best of 272 feet 10 inches, set at Hayward Field in 2009, ranks near the top of the field. 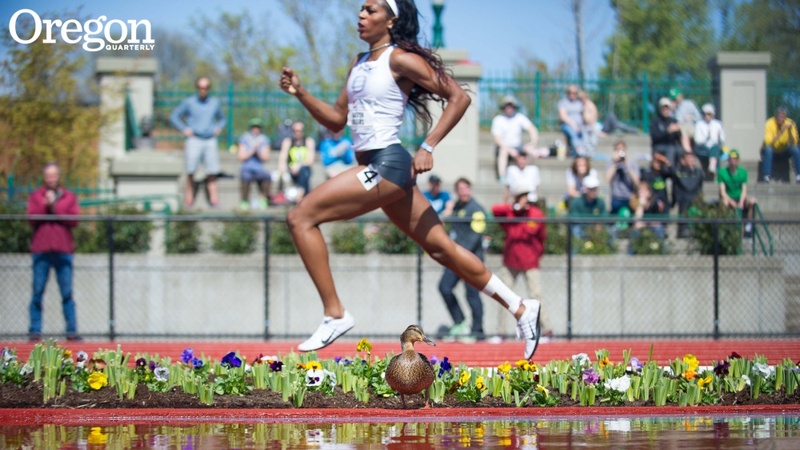 The Ducks should be rolling deep in the women’s 100-meter dash, with English Gardner and Jenna Prandini leading the way. 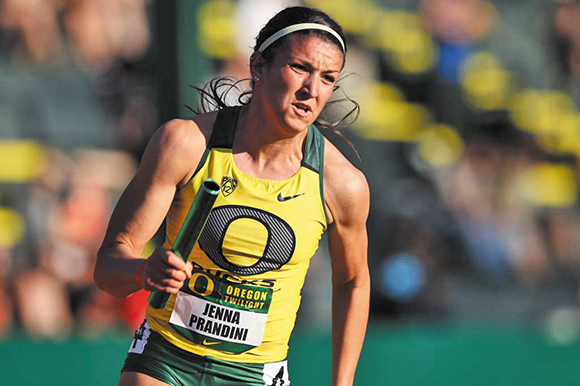 The 2013 and 2015 NCAA 100-meter winners both qualified for the International Association of Athletics Federations World Championships last summer, and Prandini’s season-best time of 10.95 is currently the fastest in the US. These two former Ducks figure to be joined in the 100-meter field by at least two current Ducks, sophomore Hannah Cunliffe and junior Jasmine Todd, who earned All-American honors at the NCAA Indoor Championships in March. At the trials, look for all four of these athletes to double back in the 200 meters during the second week of competition. For Oregon fans who can’t stand to wait for football season to see another heavyweight battle between the Ducks and the Cardinal, the 5,000-meter race should be a real gift. The likely UO frontrunners are Eric Jenkins, Will Geoghegan, and Trevor Dunbar, BS ’14, who helped propel Oregon to NCAA titles in 2014 and 2015. Meanwhile, the university located in Palo Alto will be represented by Garrett Heath, who finished fourth in the US 5,000-meter final a year ago, and by 14-time NCAA All-American Chris Derrick. Those won’t be the only five runners in the field, of course, but for the true UO partisans, those will be the five to watch. Matthew Centrowitz’s staggering list of honors includes a bronze medal from the 2011 World Championships in Athletics, a silver medal from the Worlds in 2013, and a gold medal that he won at the World Indoor Championships in March. 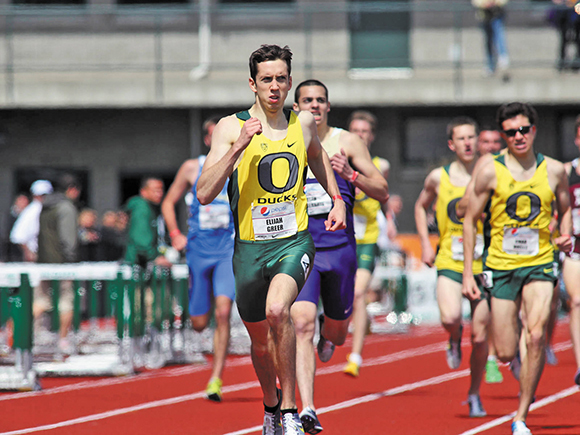 Centrowitz now has his eyes set on Olympic gold in Rio, but he’ll first have to get past a stacked US 1,500-meter field, including fellow Ducks Andrew Wheating, Mac Fleet, BA ’14, Jordan McNamara, BS ’10, Daniel Winn, BA ’15, and Colby Alexander. One current UO miler to watch out for is sophomore Blake Haney, who finished third in the NCAA 1,500-meter final a year ago. With apologies to Devon Allen (110-meter hurdles), Marcus Chambers (400 meters), Phyllis Francis (400 meters), and others; the price of UO’s track and field success is that their Olympic storylines don’t fit onto a single magazine spread. 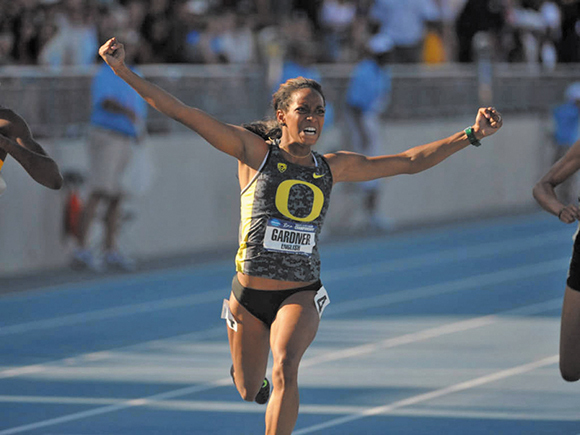 For a full list of Ducks competing at the US Olympic Trials, visit Oregon Quarterly’s website after the final entries are released in June. Ben DeJarnette, BA ’13, MA ’15, is a Portland-based freelance journalist.